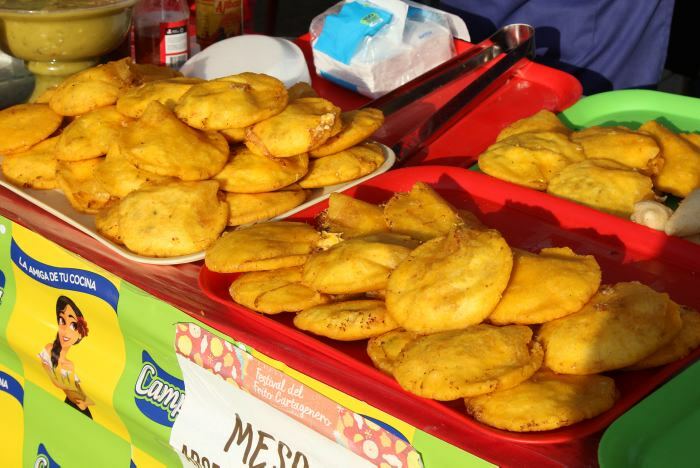 Cartagena holds an annual festival in honor of its traditional fried foods. It is part of the celebration of the city’s virgin. One of the most anticipated events of the year by Cartageneros, the festival features a competition to see who makes the best of a variety of Cartagena’s favorite fried snacks. So leave your diet behind, bring your appetite, and read on for a complete guide to enjoying Cartagena’s fried food festival, the Festival del Frito Cartagenero. What is the Cartagena Festival del Frito? The Festival del Frito Cartagenero is Cartagena’s annual festival in honor of its favorite fried foods. Similar to a chili cook off, it features a competition to see who makes the best of the different traditional fried snacks. 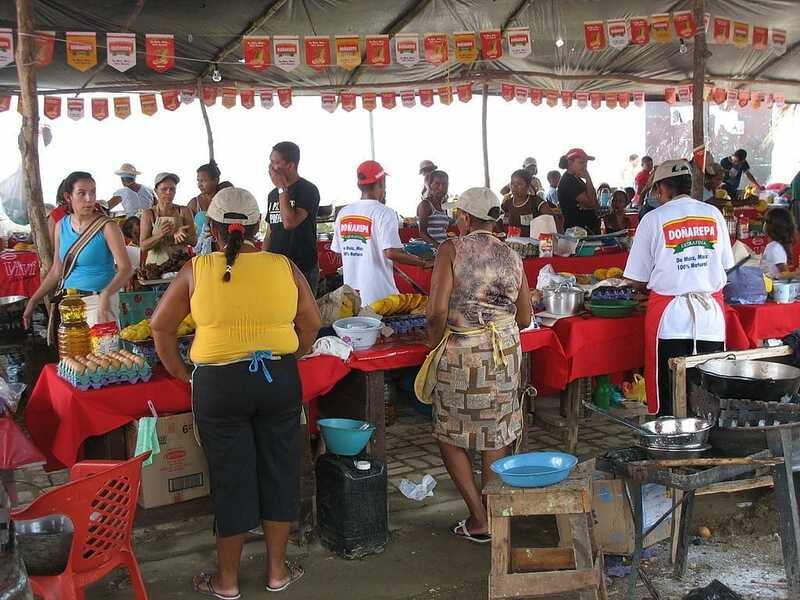 During the Cartagena Festival del Frito, each competitor has a table where they sell samples of their wares to the public. At the end of the festival, a winner is announced by the judges. It’s a great opportunity to enjoy a popular local event that blends culture, tradition, and, of course, delicious food! 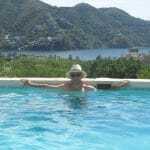 When is the Cartagena Festival del Frito? The Festival del Frito is part of the Fiestas de la Candelaria. The Virgin of the Candelaria (La Virgen de la Candelaria o Nuestra Señora de la Candelaria) is Cartagena’s patron saint. She took on an even larger importance for sailors as they looked to the convent built in her honor on the hill to help guide them back safely to port. One of the effigies of the Virgin Mary that is depicted with black skin, she also represents Cartagena’s Afro-Colombian culture. The Festival del Frito Cartagenero is held the week before February 2, the feast day for the Virgin of the Candelaria. The 2019 Festival del Frito will be from January 25-February 3. Where is the Cartagena Fried Food Festival? The Festival del Frito is held in the park by the Zapataos Viejos (Old Shoes) monument, a block behind the Castillo San Felipe Fortress. There are also some events that are part of the Fiestas de la Candelaria that are held elsewhere (see the schedule below). What to Expect at the Cartagena Fried Food Festival? The main attraction here is to try the different fried snacks, known as fritos. There will be 40 tables offering them for sale. What Fried Snacks Can I Sample at the Festival del Frito? Arepa de Huevo- More like a corn empanada than arepa (and sometimes called an empanada), the arepa de huevo is stuffed with ground beef and an egg. It is unique to the Colombian Caribbean coast and tends to be the star of Cartagena’s Festival del Frito. Innovative Arepa de Huevo-Contestants put their own unique spin on the classic, usually by replacing the ground beef with other meats. Be on the lookout for interesting combinations. Empanada de Carne-Empanadas made with corn flour and stuffed with ground beef. Simple, crunchy, and delicious. Buñuelo de Frijol-These small fritters are made from mashed black-eyed peas. Arepita Dulce-These smaller, sweet arepas have a syrup made from panela (unrefined sugar cane) is added to give them a sweeter taste than the average arepa. Carimañola-Carimañolas are like empanadas, only made from yuca (aka cassava) instead of corn flour. The yuca is bowled then made into a croquet stuffed with ground beef or cheese. It is unique to the Caribbean (note the name). Besides the terrific fried foods on offer, there are also a number of cultural presentations during the festival, including music and dance (see below the schedule for the 2019 festival). The gates are open from 3 pm until 12 am every day of the festival. I recommend going in the late afternoon on a weekday as it tends to get very crowded in the evening and on the weekend. The crowds can make it hard to stroll and check out the different variations on offer. If it does get overcrowded, you can always just head in, grab a few, and eat them outside the gates in the park. What is the Schedule for the 2019 Cartagena Festival del Frito? 2019 marks the 35th year of the Festival del Frito Cartagenero. Below are the highlights of the schedule of the events that are part of the 2019 XXXV Cartagena Fried Food Festival. You can also check out the full schedule of events related to the 2019 Fiestas de la Candelaria at this link (a .pdf). 5:00 pm-Panel Discussion “Fiestas de la Candelaria” at the Cartagena Historic Museum (Palacio de la Inquisici´on). 3 pm-12 am-Festival del Frito open. Musical performance by Banda Com. 4 pm-Children’s Cumbia presentation at the Portal de San Felipe Mall. 3 pm-12am Festival del Frito open. Artistic presentations. 4 pm-Panel Discussion “Convivencia en la cartageneidad” (Coexisting and Cartagenaness) at the Universidad Los Libertadores. 5 pm-Workshop How to Make Fritos: Empanada de Carne y Arepita Dulce at the main stage at the Festival del Frito. 5 pm-Workshop How to Make Fritos: Carimañola y Buñuelito de Frijol at the main stage at the Festival del Frito. 5 pm-Workshop How to Make Fritos: Arepa de Huevo at the main stage at the Festival del Frito. 3 pm-12am Festival del Frito open. Traditional folk song performances. 3 pm-12am Festival del Frito open. Awarding of the winners for the best of each frito; final of the traditional folk song festival. 3 pm-Procession of return of the Virgen de la Candelaría with cumbia dancing (rueda de cumbia) to La Ermita de Pie de la Popa. Interested in learning more about Cartagena’s food scene and festivals? Check out this guide to the 15 best street foods in Cartagena. Check out this guide to to 10 favorite local dishes to try in Cartagena. Check out this guide to the November Independence Festivities. Ready to plan your visit to the Cartagena Festival del Frito?